A 'Home from Home' is how we like to describe our B&B. From our cosy guest lounge with turf burning fire to our guest bedrooms, which are ensuite, spacious and comfortable, we hope that you will unpack your bags and enjoy a relaxing stay. Our rooms include a double, a twin, a triple and a large family room. 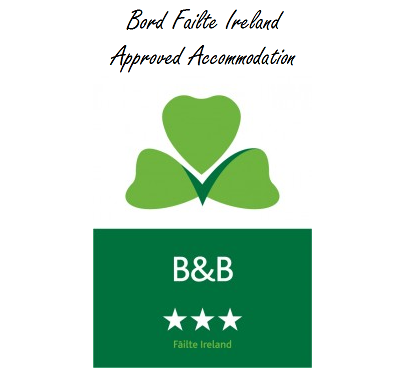 While staying at our home you can be sure of a high standard. Recommended by Tripadvisor, booking.com, Guide de Routard and The New York Times we aim to share its charm & beauty with you to provide a truly unforgettable bed and breakfast experience.